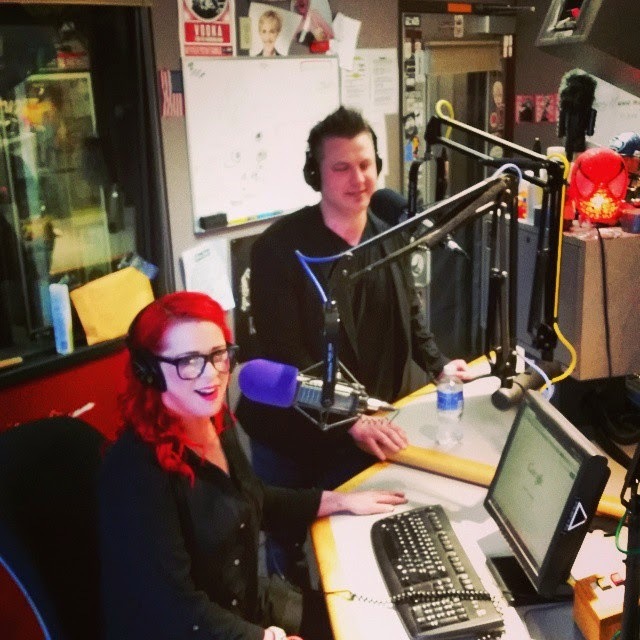 Today we had the hilariously exciting experience of being on one of my favorite radio shows, The Men's Room on 99.9 KISW. I've been listing to the show since they first came to Seattle and were on 100.7 The Buzz, which used to be an FM talk radio station, in the evenings. Cut to present day, and The Men's Room is one of the most popular afternoon drive time shows in Seattle. So when I heard that they wanted to interview us live in the studio on their show, I was more than stoked. I danced like a little school girl. It was a blast to be in studio with Miles, Thrill, Ted, and Ben! Take a listen to the interview below! Our part starts around the 10:40 mark. *Update* Here is a picture of us in studio!